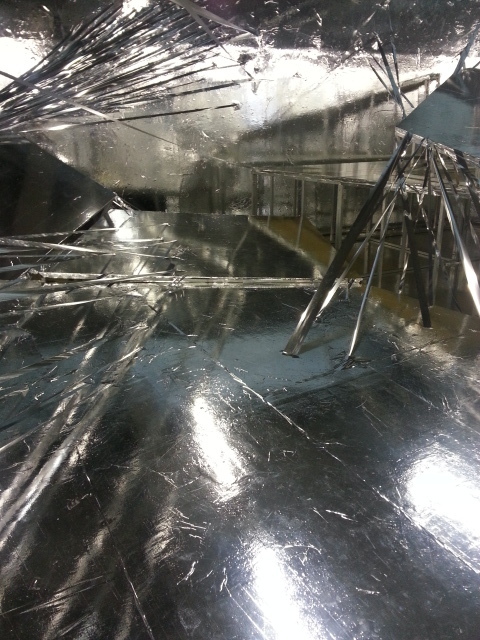 The latest show is by Lee Bul, who has taken over the space with a momentous installation piece. 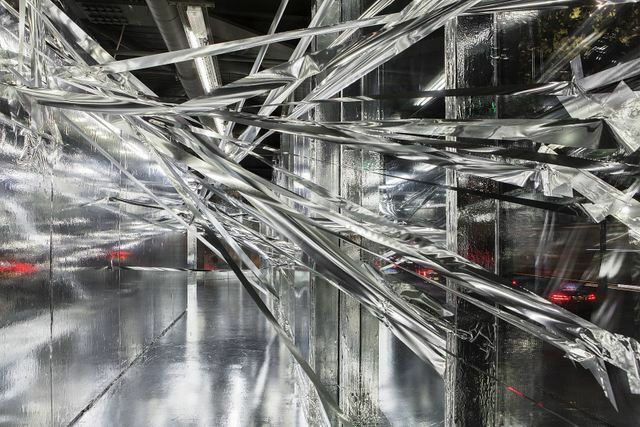 At first it feels like walking on the set of a low budget 80s science fiction set, with the walls and floors covered in silver vinyl and silver tape creating a pseudo spider web across the artwork. Rather than being a delicate sculpture, visitors are encouraged to duck under the tape and ascend the linked but uneven platforms. We approached this with trepidation as the creaking floor and stretching tape suggest they will give way at any moment — but the whole structure is surprisingly robust. Our ascent put us touching distance from the ceiling and allowed us to view this reflective world from a different perspective. It's like an abstract hall of mirrors with the light reflecting off all surfaces creating a warming glow to this immersive and ultimately fun installation. 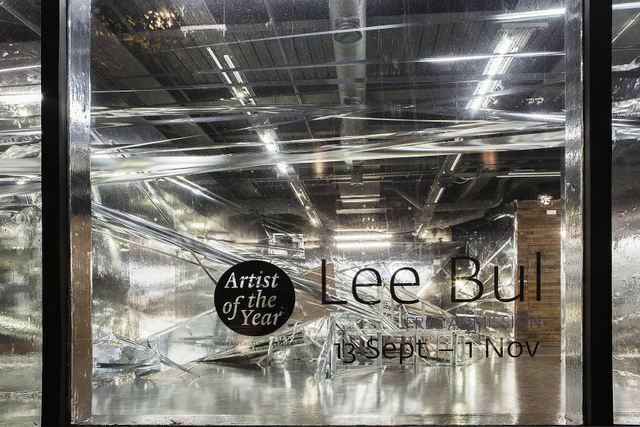 KCC artist of the year - Lee Bul is on at Korean Cultural Centre, 1-3 Strand (entrance on Northumberland Avenue), WC2N 5BW until 1 November. Admission is free. 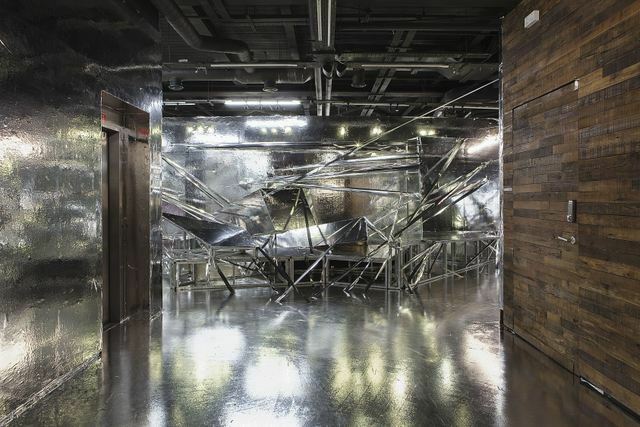 This exhibition is in partnership with Lee Bul's solo show in Birmingham's Ikon Gallery. 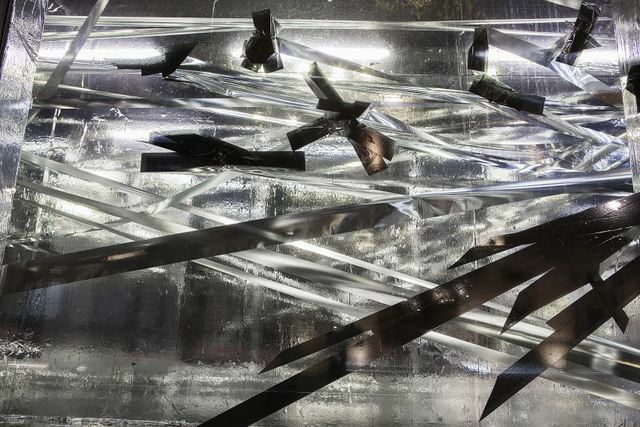 For more art to see in London, visit our September listings.